MSC Cruises has announced new Summer additions to enhance the kids experience across the entire fleet. 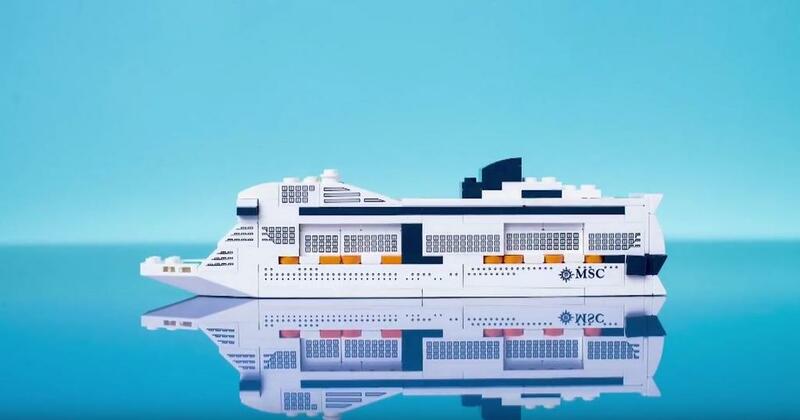 Some of the new additions include the introduction of an innovative kids sports program, DOREBRO; a kids-dedicated interactive cooking class designed with Michelin-starred chef Carlo Cracco; and a new, exclusive MSC Cruises ship toy developed by LEGO. Children and teens aged from 3 to 17 years old can join the program, which is now available on most MSC Cruises ships sailing in the Mediterranean and the Caribbean. There will be two sessions each day where kids of different levels and age groups can get involved. The program has been designed in collaboration with UK based King’s Active. This will be a new summer cooking class in collaboration with the two-starred Michelin chef Carlo Cracco. MSC Mascot DOREMI will also get in on the action along with kids aged from 3 to 11 years-old. They will learn new cooking skills and recipes. Ships also offer a LEGO Experience Day where kids can get involved in several activities throughout the day. On some of the newer and recently refurbished ships kids can also have some fun in the dedicated LEGO spaces. MSC Cruises also offers a range of services for babies and young children including the Mini-Club for children under 3 as well as a dedicated childcare service giving parents the freedom to enjoy the ship, safe in the knowledge that their children are being cared for by dedicated and highly trained staff. Many of these services are offered in collaboration with Chicco – the leading global baby brand and yet another exclusive MSC Cruises partnership.